American hospitality group SH Hotels & Resorts has announced it will manage a new-build 280-room hotel to be built alongside Melbourne’s Yarra River under its nature-inspired lifestyle 1 Hotels brand, marking the label’s maiden foray outside of the United States. 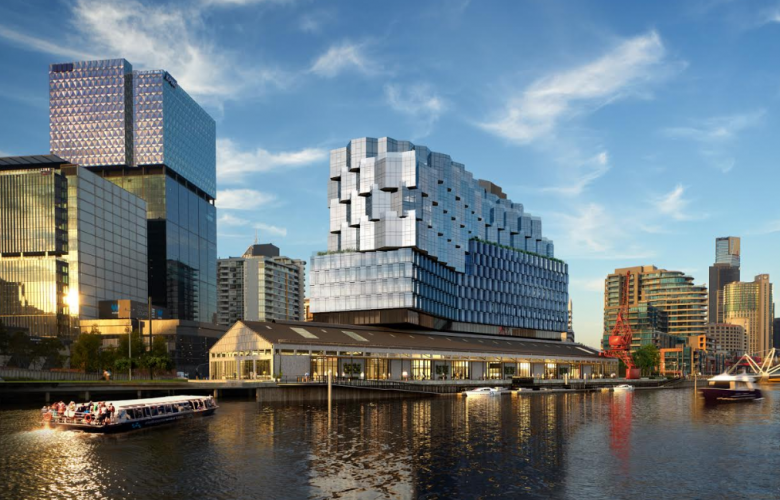 Confirmed this week (Mar 28) by Victoria’s Minister for Jobs, Innovation and Trade, Martin Pakula, the new hotel will form part of the AUD$450 million ‘Seafarers’ mixed-use precinct set to be constructed by Riverlee alongside the city’s iconic seaway. Construction is currently slated to begin next year, with doors open to the public in 2022. To be designed by Fender Katsalidis, the new development will also include residential apartments, new restaurants and bars and a function centre. Around 3,500 square metres of riverside public park will also form part of the development. “We’re excited to bring 1 Hotels to Australia, working alongside a world-class organisation like Riverlee. We look forward to creating the finest luxury destination in the heart of Melbourne,” said SH Hotels and Resorts President, Arash Azarbarzin. Sustainability will be front and centre in the Seafarers complex, with recycled materials including salvaged timber from Melbourne’s wharf restoration works, native greenery and industrial steel to be incorporated in the finished product. In addition to 1 Hotels, SH Hotels and Resorts operates the Baccarat Hotels brand along with its premium SH Hotels Collection flagship label. Four locations are currently open for the 1Hotels brand – Central Park and Brooklyn Bridge in New York, South Beach in Miami and West Hollywood in California. One of the leading hotels in the portfolio is the 1 Hotel Brooklyn Bridge and to find out more about the property and the brand, WAYFARER Editor-In-Chief and Host, James Wilkinson, spoke to General Manager, Hans Schaepman. The brand is in the midst of a significant expansion, with new resorts in Cabo San Lucas, Mexico; Sanya, China, Silicon Valley, California and Hanalei Bay, Hawaii all due to open by the end of next year.